Tonight, I told Stephen that I feel like an Apple 128K. I am a slow processor, about as old, and I cost just as much. Can I have permission to process my friends? Ok…the difference between the first Apple computer and me is that I am far more emotional than a 128K, I am a 40alot (all one word) processor, and I have these three amazing teen daughters and one middle aged man who I love more than life it self. 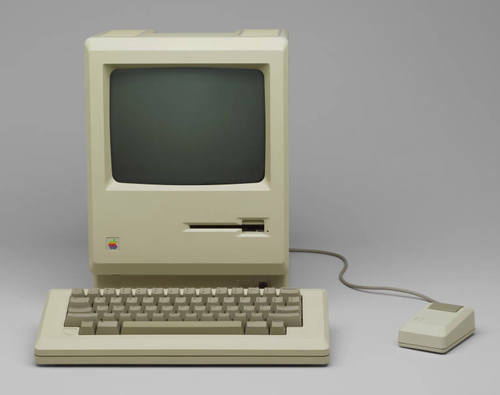 The 128K Apple wasn’t even born until 1984, and the introductory price was $2495. I was born almost two decades before this slow processor. BTW- my current Mac computer has 64,000 times the RAM as this sweet little old Apple Computer that my husband’s grandma bought him way back in the day. (My husband thoroughly enjoyed researching this information for me tonight). Now, let’s move beyond computer processing. Possibly, it’s all catching up…you know, the New Year and such. I had this big and wonderful 2011, full of amazing adventures, and now I am faced with a new year full of uncertainties. Of course I have a few things that I can count on like the funny shaved dog, a house in the suburbs, a job with Compassion, a mini van that my husband has managed to turn into the “man van” according to the teenage boys at church (long story that involves peeling out and skidding for a scavenger hunt), and a house full of raging hormonal girls. What can I say? But the world continues to change and I continue to change too. After all, I am 40alot. There are things I just can’t control. We have been on vacation over the last couple of weeks, with the exception of a couple of days that I managed some emails. So today, I got back to work and I was bombarded with a few hundred emails. No big deal, except for the one about Sudan and the genocide there. Then I got a few more that reminding me of what I do. I work for poor kids. Stephen and Julia started talking at dinner tonight about their future trip. In 14 days, Stephen is taking my daughter on one of his trips with Compassion to go to India. Julia will meet her sponsored child who she has been writing to since the two of them were five years old. They are both 16 now. I met Remya in 2009 when I went on a Compassion blog trip. Now, Julia will meet her and experience poverty in a way she has never seen before. I am a bit of a wreck in it all with the things swirling in my head like Sudan, the kids around the world, the New Year, my 40alot age, and my daughter and husband heading to the other side of the world where I will have no control. The processor doesn’t quite know what to do with all the information. I love everything about what Jesus said in Matthew 11. In fact, I think I will read it all again tomorrow and the next day…and the next. The best part about this chapter is how he ends it. We can rest in Him and He is gentle. This just sounds so good. My processing likes this. Thank you God! BTW- Julia said she would blog so you can follow her trip right here starting Jan 18th. Please pray for my little girl and Stephen and for their trip to India. ← Why celebrate the New Year? Found this post while searching for blogs about middle age. Love your comparison with an old computer. I might describe myself as 50abit. What a wonderful and challenging way for your daughter to begin a new year. I will pray for Julia and your husband. I think that is an incredible privilege for both daddy and daughter. By the way, you are just a young thing. I have a couple of decades on you! God bless all of you.